In celebration of the release of my debut novel, Fast Forward, I’m doing a series of interviews with authors about their past, present & future. Today, please welcome… Natalie Charles! I wanted to be an actress. Now it makes me laugh, but of course acting was very serious business. I used to write my own plays and direct kids in my elementary class, and I acted throughout high school. I fell in love with the idea of being someone else and bringing words to life, and I still draw on those experiences. When I write, I need to immerse myself in a character and to hear them speak. I spend a lot of my writing time on dialogue, listening to the rhythm of my characters’ conversations. I was a sales clerk at my family’s independent pharmacy throughout high school, then I held odd jobs on my college campus like writing tutor, graduation program assembler, orientation leader, public relations assistant…basically I had no standards. If it paid, I wanted to do it. Over the summers I was a park supervisor in my town, which sounds like I was some kind of ranger, but really I made lanyards with local kids and told them not to swear. After college I worked in logistics for a construction company, shipping fixtures to national retail locations. That lasted about five minutes, and then I quit to work as a makeup sales clerk (seriously). Then I went to law school (seriously), and now I’m a lawyer. I still work full-time as an attorney. I write laws, so it’s sort of a writing job, but not as much fun as writing romantic suspense. Christmas Eve at my grandfather’s house. We’d have this formal Italian dinner and then these beautiful desserts: cannoli and cookies and fruit. I never ate the dessert or much of the dinner because I was too busy waiting for Santa to come, although I do remember eating pomegranate seeds. I can’t imagine one easily forgets the first time they eat pomegranate seeds. The dinner took forever! There was a white tablecloth and all these fish dishes that I wouldn’t touch, and of course we had to dress up. Torture. My brother and sister and I would periodically excuse ourselves to dash to the living room, waiting for presents to appear under the tree. We practically wore the carpet thin, running between the living room and the dining room. At some point, we’d go to the living room and it would be filled with presents. We never saw Santa or had any idea that the gifts were being delivered. I was lucky to have such magic in my childhood. 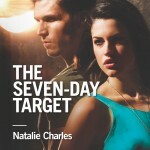 My debut for Harlequin Romantic Suspense is called THE SEVEN-DAY TARGET. It’s about an FBI agent named Nick Foster who discovers that his ex-fiancée, prosecutor Libby Andrews, is being hunted by a serial killer who leaves six signs over six days before killing on the seventh. She broke his heart, but now he has no choice but to protect her – even if it means putting his heart at risk! I wake up too early and cook my husband and daughter breakfast. Then I head off to work, where I draft legislation and do my best to not muck up anyone’s life too much…unless that’s what my clients want, of course. Then it’s home to make dinner, bathe my daughter and put her to bed. I collapse on the couch to write after all of that, and when I’ve finished writing, I collapse in bed. Sometimes my husband and I manage to fit in a conversation, but you asked about a typical day. I have so much to be grateful for! I’m grateful for my health, first and foremost. My youngest brother is a childhood cancer survivor, and I try to remember to never take a healthy day for granted. I’m endlessly grateful for my family, especially my husband and my daughter and the baby we have on the way. And I’m grateful for the support I’ve had in reaching this point in my life, because I haven’t done anything alone. Tough question! I don’t know that I’d want to do this. I’m definitely a person who dwells in the future, but I like my future unwritten and full of possibility. I think that actually seeing the future might make me feel like some kind of destiny was involved. Naive or not, I like to imagine I’m in control. I’d want a teleporting machine like they have on Star Trek. This way I could travel all over the world in a matter of seconds. I live in New England, where we have dark and cold winters. Summers here are absolutely beautiful, but I’d love to hop a teleporter to somewhere tropical on the winter weekends, or spend a chilly afternoon on a beach in Fiji. I hope someone smarter than myself gets on that, stat. You mean besides writing the Great American Novel? I want to raise children who call me regularly as adults and travel to beautiful places with my husband. I plan to continue writing what I love to write, and if I happen to make a living at it, that would be a dream. Thanks for visiting the blog, Natalie! >>To WIN a copy of Natalie’s book, THE SEVEN DAY TARGET (blurb below), leave a comment for Natalie. *Competition open WORLDWIDE (US/Canada residents will receive a signed print copy, international readers will receive a Kindle copy. Winner will be drawn Wed 10th April (Sydney time). He never meant to speak to her again. Back in Arbor Falls for a funeral, Special Agent Nick Foster has moved on. He has no plans to stay in his tiny hometown-or to reunite with the beautiful Libby Andrews. His onetime fiancée broke his heart, and what’s past should stay buried. Libby doesn’t want his help. Her childhood sweetheart can never know the real reason she ended their engagement three years before. But when a serial killer targets her, she must team up with the rugged agent for her own safety. Something in her past has put her in danger, and the passion they’ve reignited puts their future in deadly jeopardy. Posted on April 5, 2013, in Interviews, Past Present & Future and tagged author interviews, competitions, harlequin, natalie charles, past present & future, romantic suspense, the seven day target. Bookmark the permalink. 15 Comments. I’m so glad you enjoyed it, TashNZ! I have to say, this interview was a thought-provoking blast. 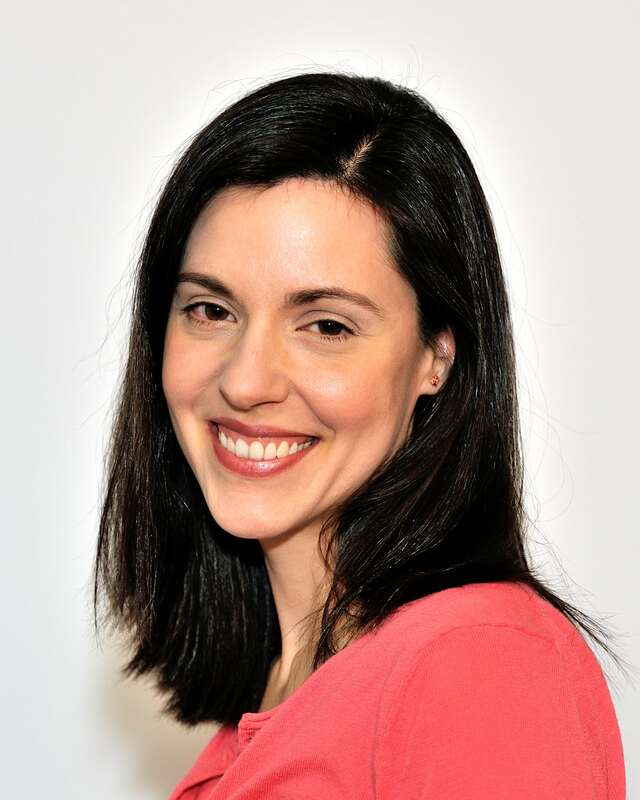 Great interview Juliet – love the idea of tying in your new book and the theme of the interview and I love the technology/invention question and your answer Natalie! I’d choose a teleporting machine too (only because I get car, boat & plane sick. And just try doing all of those while pregnant with all day sickness….ugh that was NOT fun at all). OK, lets invent this teleporter right now! Jaderiley, I am fully on board with the teleporter. I will make donations, sell pencils, whatever. Let’s make this happen! Loved reading about you, Natalie! Thanks Juliet for this great theme of Past, Present & Future! Thanks, Nas! I love the Past, Present & Future theme — it was so different! We had the same dream when we were childhood. 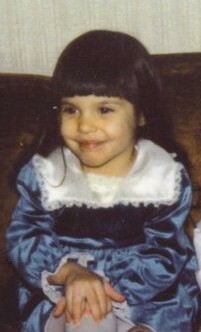 I also wanted to be an actress. I love to pretend myself as the other and copy their style. Well, i also join theatre club in my university and it felt wonderful to be able to play. Now, i’m a teacher in Elementary but i never stop doing acting though i became a director in my student’s drama competition. If i can fast forward, i would like to be able to transport myself to any places that i like. It will reduce my travelling budget, faster and easier. Just blinking your eyes then you’re already there. Thanks for stopping by, Juliana! It’s always nice to be able to chat with a fellow actress! I can definitely see a connection between acting and teaching. It’s a performance in it’s own way, isn’t it? We do need to get on this teleporter thing. Airline travel is sooo 20th century. Teleportation would be very cool. I wish you well. Thank you, Mary! I’m hoping that some brilliant scientist is reading this and thinking about how to make the teleporter a reality in the next five to ten years. Fingers crossed! Thanks to Natalie for visiting the blog, and thanks to everyone who left a comment. Glad you’re enjoying the Past, Present, & Future series!